Rooftop solar power panels: how many can you install? There are limits to the size of the solar panel system you can install on your rooftop. Naturally, there is only so much weight your roof can support! But a less obvious limit sets how much energy your rooftop solar power panels system is permitted to generate. This figure varies. Your electricity retailer imposes restrictions on solar power capacity depending on where you live in, sometimes even which town you live in! These two factors, the number of solar panels and their power output are also subject to how much clean energy you want to generate for home or business use. Let’s look at the factors involved in limiting your solar power while exploring the levels of energy you can achieve in your area. Why does the electricity retailer set limits? Technically, it’s not your retailer setting the limits on how many rooftop solar power panels you can install. The limits are actually decided by the owners of the network that distributes the electricity, the poles and wires. This network owner is also known as the distributor. Confusingly, in some cases your energy retailer also owns the network too. Energex in Queensland, for example. Limits on your solar generating capacity are set by companies like Energex because the electricity distribution network was originally set up to push power in one direction only and at a predictable rate. When wind and solar power came along there was a disruption in this traditional network model. The consumers became producers, and they wanted to feed their energy into the network. This two-way model of energy distribution is a people’s revolution in energy. It’s great for the environment and great for the hip pocket. But the owners of the networks are concerned that too much electricity flowing into the grid could disrupt the operation of the existing power stations. For example, the grid needs to be kept at a certain voltage. Too much solar input pushes the voltage up and creates problems. What’s needed is smarter technology that regulates the influx of clean energy so that it can co-exist with the older types of generators. That technology is not quite at the stage where solar power can feed to the grid without limit. But it’s only a question of time until the regulators work out a way to tap into the excess electricity of every rooftop solar system. Already, neighbours are sharing electricity in some areas, cutting out the energy retailer completely. What are the current limits for solar installation? Unless otherwise specified, states and territories give automatic approval to rooftop solar power panels systems that comply with the Australian standard for solar installation: 5 kW or under. In most states and territories, there is automatic approval given to any solar system up to 5 kW. However, this is in not set in stone. For example, in May 2017 the Queensland Government (which owns retailer Energex) changed the regulations for solar installation limits. Automatic approval for rooftop solar used to stop at 5 kW, but the new rules give approval for up to 10 kW. The proviso is that you are not permitted to have a battery system capable of feeding power into the grid. The government was fearful of a blowout in their feed-in tariff budget, which originally did not allow for batteries. Feeding power into the grid from batteries during the night woud prove too costly for its feed-in tariff scheme. The AS/NSZ 4777 standard allows most networks to allow system sizes on a single phase connection up to 5 kW. Three phase connection size is up to 30 kW. As long as your rooftop solar power panels system meets the requirements the requirements of your network, you will have no problem getting pre-approval. But you should speak with your solar installer about what you can and can’t do. For example, in Western Australia, some electricity retailers allow the installation of rooftop solar depending on which town you live in and provide a handy calculator. You may also want to take into account size dependent rebates. Currently Solar VIctoria is offering rebates through the Solar Homes program for those in Melbourne and the rest of the state who wish to buy solar panels. The Victorian Government is providing a 50% rebate, up to the value of half of an average 4kW solar panel system so it makes sense to get a system bigger than 4kW. The following table shows the limits for automatic pre-approval for solar panel systems by state/territory and energy retailer. Figures quoted are inverter limits. Eligibility to install rooftop solar depends on which town you live in – use calculator. There are rebate schemes to encourage solar users to feed electricity into the grid from their rooftop solar power panels. You can find out about them on Energy Matters’ feed-in tariff page. As mentioned previously, up to 5 kW seems to be the current acceptable capacity for solar dictated by most electricity retailers. Regardless of that limit, to get the very most out of your rooftop solar power panels you should consider having the system linked to a battery. That’s because most of a typical family’s energy consumption occurs after work and school hours. So, during the day while your panels are busily making electricity, that electricity is going into the grid at a feed-in tariff that is usually a lot less than the retail price you will pay when you really need the energy. It’s more effective to charge your home battery with any unused electricity. Note that batteries raise significantly the investment that you need to make initially and will increase the time it takes for your system to pay for itself. One of the best ways to gauge the size of the solar system you need is to review your power usage on your electricity bill. According to the Clean Energy Council, a typical Australian house consumes around 18 kilowatt hours (kWh) per day. So a 1-2 kW solar system displaces an average of 25-40% of the average electricity bill. Consider that today’s average size for a solar system is 3 kWh. It’s possible in some cases to virtually eliminate power bills with the right solar system, battery storage and smart inverter. This Clean Energy Council table below shows how much energy you can expect to generate from the sun using rooftop solar power panels in Australia’s capital cities. The rated output, e.g. 4.0kW, is that achieved in perfect lab conditions. The table above takes real wold conditions into account when predicting averages for any given system. It shows that in Brisbane a 3 kW solar system will on average generate 12.6 kWh daily, or 70% of an average household’s daily power usage. In Melbourne, a city that is on average less sunny than Brisbane, the same 3 kW solar system would generate 10.8 kWh daily (60% of daily usage). This shows that with batteries to store the excess solar power you generate, it is possible to supply a substantial amount of your home energy needs. As long as the correct sized system was installed. Does the limit laid down by your electricity retailer apply only to solar inverter capacity, or also battery inverter capacity? Are you limited on how much electricity you can feed back into the grid from your panels? Will you need a solar smoothing device? These iron out the fluctuating energy output of your panels as a result of changes in the weather. The best way to find out the ins and outs of rooftop solar power panels installation is to get in touch with Energy Matters in your area and talk to one of our consultants about a quote. It can seem more complicated than it really is. They will be able to tell you about the latest rules and limits on your solar installation. 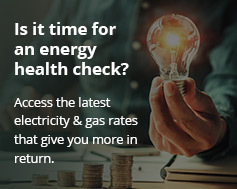 Inside information from Energy Matters’ experts will make sure your system is the best you can afford, while remaining within the regulatory framework from your electricity retailer.